Quiz nights in New Zealand are quite a thing. Most pubs will have them on one of the midweek nights. In general they’re great nights. Its more about having a nice meal and meet some friends whilst having something to do. The prize is most of the time something fairly negligible like a $50 bar tab. As a non-kiwi going to a quiz night in New Zealand, no matter how good your English is, is quite a daunting affair. Firstly a New Zealand accent takes a while to get used to. It is, to say the least, different. I was lucky to have worked with a few kiwi’s before I came to NZ. Not only did they introduce me to pineapple lumps, a chocolate covered chewy pineapple flavoured sweet, they also got me used to some quirky kiwi vocabulary. I was prepared with words like tiki-touring (lazy drive around whilst sightseeing with no particular end goal), togs ( swim gear), bach (holiday home) and tramping (hiking). And of course I’d been warned about the ‘e’ and ‘I’ switch. So when asked for a pin, I knew they wanted to use my pen and when somebody at a reception told me to go to the left, I realised pretty quickly I had to take the lift. What I hadn’t realised is that half of the vowels are not pronounced at all, and that a lot of the conversation, in a pub especially, is about the national obsession, rugby. And not so much about the game, but about the players, who knows who, past clubs, girlfriends, clothes, haircuts and other gossip that you’d only know if you, well, are a kiwi really. And a good pub quiz reflects this interest of its main customers of course. So for me that meant that besides not understanding the quiz master, I had absolutely no idea what most of the questions were about anyway! But in good Kiwi fashion, no worries. Participation is more important than winning*! 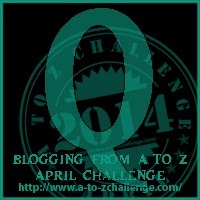 This entry was posted in A to Z challenge and tagged a to z, kiwi, nz, pub, quiz, slang, vocabulary. Bookmark the permalink. Cool! A lot of the groups exists of regulars, and they are unbeatable!